The Centerville Noon Optimist Club awards an Annual Optimist Community Champion Award. This award helps local citizens in the South Dayton communities recognize champions within the community. This award has recognized citizens who have played major roles in helping children and families. 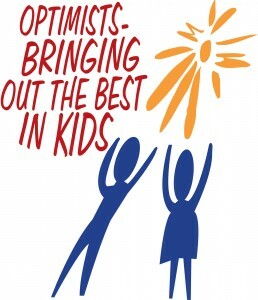 The Optimist Club looks for people, who in the course of everyday life have made an extraordinary impact through efforts that have enhanced the well being in our community. They can are recognized for courage, bravery, special achievements, mentoring, coaching or for having noble character. The Centerville Noon Optimist Club is the largest Optimist Club in Ohio. This Optimist Club has been supporting the youth of Centerville and Washington Township since its founding in 1968. Programs and service projects that the club supports include Avenue of Flags, Tee Off for Youth Golf Outing, 4th of July Americana 5K Run, Tri-Star Basketball and Soccer and Haunted Trail at Bill Yeck Park. To learn more about Centerville Noon Optimists please call 937-221-6720, visit our website at www.centervillenoonoptimist.com. Or be our guest for lunch on Tuesdays at Yankee Trace.